The article deals with significance of quality in service industry in general and for financial services organisation in particular. It goes on to explore relevance of quality in today's competitive financial world, the drivers of transactional quality and the approaches which can be adopted by a financial services provider in bringing quality concepts to its realm.Finally, the article tries to understand challenges faced while working with transactional quality in a financial institution. While the roots of quality movement can be traced to the industrial revolution in 19th century, it was in the 20th century when it came to the forefront – first during the second world war and then during the resurrection of Japan's industry. Manufacturing industry – primarily automobile and ancillary industries were the frontrunners of the quality movement in initial years. However, as the movement evolved, it spread to other manufacturing sectors like telecommunications, electronics et al. The past two decades have seen the movement mature and non-manufacturing sectors embracing it with a significant enthusiasm. Service industry, BPOs, NGOs, Hospitals and even government departments have started understanding the criticality of quality in helping them deliver desired levels of service in efficient and cost-effective manner. Before we understand concept of transactional quality, let us first mull over what is a transaction in context of banking industry. Broadly speaking, every interaction a customer has with his bank – directly or indirectly, can be termed as a transaction. Concept of transactional quality can be summarised as: Continuous excellence aimed at meeting or exceeding customer's expectations from his consumption of services provided by way of transactions – online or offline. Tangibility: Services, by their very nature, are predominantly intangible. Quality concepts act as a tool to convert this experience into a well-defined set of parameters. Measurability : It is always been a challenge to measure customer's satisfaction from services provided to him. Quality concepts add a dimension of measurability to parameters defining different facets of services consumed. Like most services provider, financial services have to deal with intangible product and need to create an effective product delivery system. However, the involvement of money – sometimes huge values - in these transactions gives a differentn perspective to approach required for introducing quality in the system. Tough competition, increased commoditisation of products and a discerning customer have driven financial services providers to pursue Quality as a key to differentiate their product and product delivery system. results in Indian Finance services providers. Lean and Six Sigma both have their strengths, but changing environment has thrown up a clear need for augmenting Six Sigma toolkit with Lean thinking. Transactional nature of functioning of Banking provides a conducive environment for applying Lean Six Sigma methodology. Stiff competition and continuous need for innovate drive the bank to improve on financial products offered while reducing costs of operation and enhancing overall customer experience. A transaction is base unit of customer experience and to improve overall experience, bank needs to target this building block. 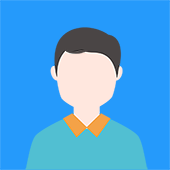 First Time Not Right (FTNR)reduction :Very often there is prolonged delay in processing of customer's account maintenance instructions or account opening forms as the required documents are incomplete or incorrect. These delays severely impact customer's confidence and may result in loss of repeat business. TAT reduction: Customers want their transactions done as soon as possible. Bank has to align its processes to these expectations to the extent possible or face a possibility of loss of business to competition at first available opportunity. In fact, in age of two-minute noodles, customers will not be willing to wait for two weeks for a loan approval! Cost reduction: Bank has to offer its products in price competitive manner. For this it has to look at its processes and find ways where any types of wastes can be identified and eliminated. During this effort, it has to maintain a delicate balance between regulatory requirements, customer expectations and bank's own necessities. E.g. it has to look at shaving off costs from its FD booking process without compromising on commitments to customers. 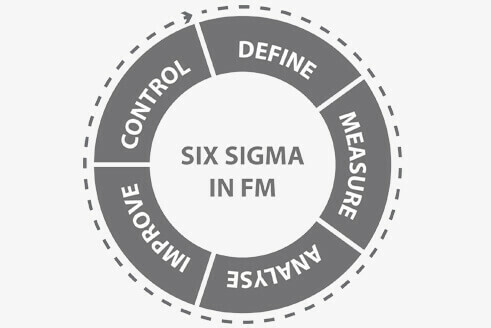 Lean Six Sigma initiatives in a transactional environment borrow heavily from toolkits of both Lean and Six Sigma tools. No quality journey is complete without its own set of challenges – only the type of challenges varies from sector to sector and depends on stage of the quality journey. Following challenges can be been identified while implementing Lean Six Sigma in a Bank. This is the foremost challenge faced by a quality team in any environment. This is more pronounced in a transactional environment with high involvement of people and marked dependence on processes. Bringing about a transformation of mind-set of process owners through their involvement and empowerment is the key to battle inertia successfully.It has been found that showcasing successes is a good way to create buy-in across levels. Rapidly changing the environment – business as well as regulatory – has been another challenge faced by the bank's quality team. There are times when there are changes in product features by competition which necessitate a prompt and effective response from the bank. At other times, changes in regulatory climate may demand an equally swift change in internal process. The Quality team needs to be adept at responding to these requirements by closely working with the various verticals of the bank. The team has to evolve itself into a solution provider or an internal consultant. Service Quality has been recognised as key differentiator in an increasingly undifferentiated financial services sector. It is not sufficient to respond to the customer needs, it has become imperative to put in place a robust structure to constantly evaluate processes to identify improvement areas, take feedback from customer and act on the same. Lean Six Sigma plays a critical role here by improving transactional quality and thereby overall customer experience. This proactive approach, covering all customer touch-points, will go a long way in making the business not just successful in present but also arm it to adapt for the unforeseen future. The banking sector is undergoing manifold expansion in last five years increasing its reach in tier-2 and tier-3 cities. This rapid expansion compels the bank to hire aggressively. The sensitivity to service quality and processes driving it needs to be instilled in all new team members, often fresh out of colleges. This is the key to a standardised customer experience. For this, a robust training mechanism; both on the onlineplatform as well as using conventional class room sessions,needs to be set up by the bank to enable its employees recognise need for and improve the quality of customer service. Certain aspects must also be made a part of the induction programme which is undergone by all new joinees as this is considered apt time for them to imbibe customer oriented culture of the bank. In the bank, the benefits derived from improvement initiatives are often of qualitative nature while having a tangible effect on customer service. The exercise to derive monetary impact of such initiatives is often difficult andtime consuming. E.g. computation of monetary impact of reduction in TAT of account opening on increased business generated is challenging. To tackle this challenge, the quality team has to work with the process owner and find out ways in which benefits can be quantified to the extent possible – even if complete impact is not feasible. is a Senior Member of American Society for Quality (ASQ) and a Certified Six Sigma Black Belt from ASQ. He is presently pursuing Master Black Belt certification from Indian Statistical Institute. He is working with a leading Private Sector Bank as Zonal Head and is spearheading Quality Initiatives efforts in Southern India. He has had wide experience as Quality Professional in implementing quality interventions in banking environment.